Click on play button to listen high quality(320 Kbps) mp3 of "DARIYA | BAAR BAAR DEKHO | KATRINA KAIF & SIDDHARTH MALHOTRA | ARKO | Cover". This audio song duration is 2:23 minutes. 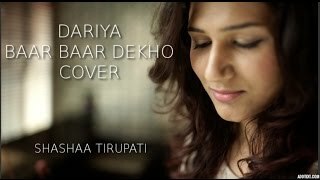 This song is sing by DARIYA | BAAR BAAR DEKHO | KATRINA KAIF & SIDDHARTH MALHOTRA | ARKO | Cover. You can download DARIYA | BAAR BAAR DEKHO | KATRINA KAIF & SIDDHARTH MALHOTRA | ARKO | Cover high quality audio by clicking on "Download Mp3" button.